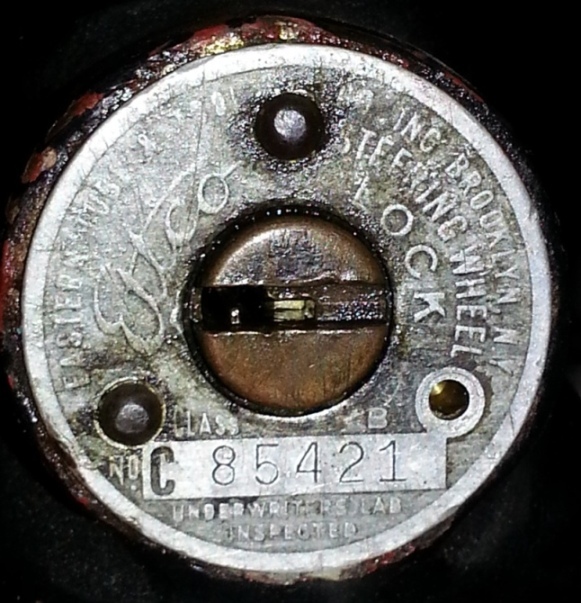 Model T Ford Forum: Ettco Steering Wheel Lock - Help Identify??? 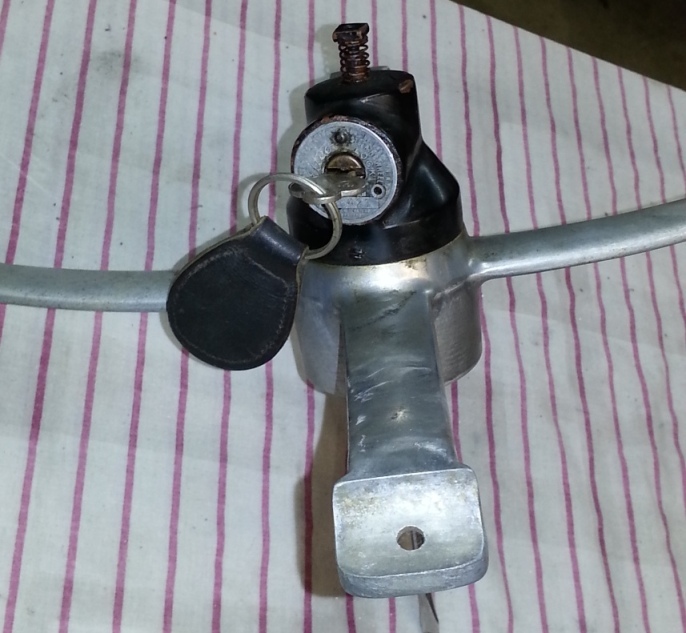 Ettco Steering Wheel Lock - Help Identify??? 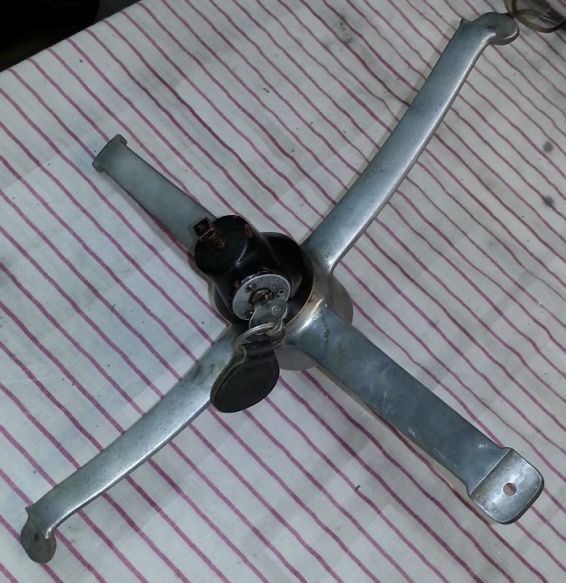 Model T Ford Forum: Forum 2013: Ettco Steering Wheel Lock - Help Identify??? 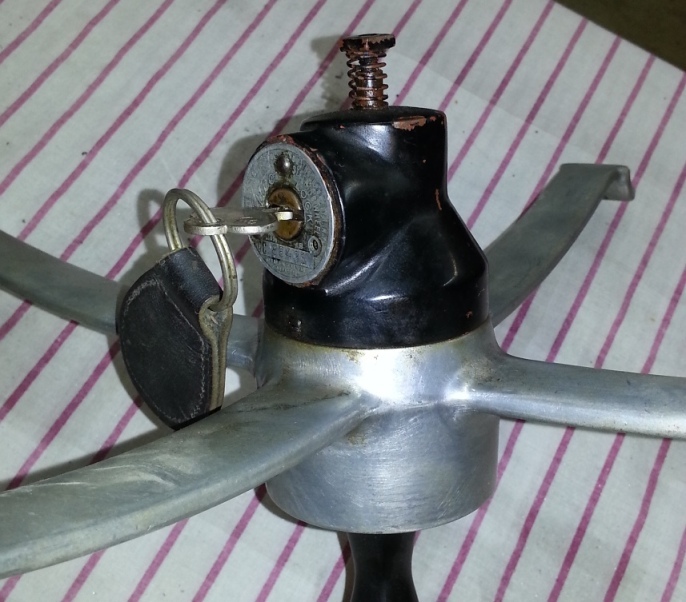 Hi, a friend picked this steering wheel lock up recently and we were looking for some help in identifying. I have found some references to Ettco steering wheel locks and some similar products from other manufacturers, but have not been able to find a match for this. Is anyone familiar with this and when it might have been manufactured? We think it's from an early Model T, but not sure. Any guesses on the value? SCott, that wheel is dished the opposite way to a T wheel. All the accessory wheels with which I am familiar are dished away from the driver like the standard wheel. Perhaps it is to suit other than T.
Thanks G.R. Cheshire, might try writing Ettco next, just figured someone would recognize it. Nicholas Lingg, I will get a picture of the shaft end.